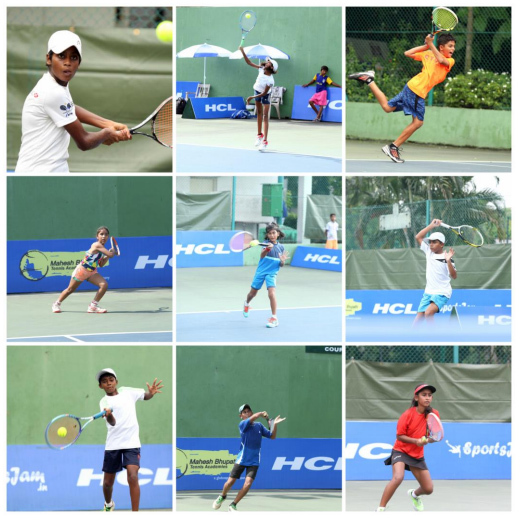 The HCL Tennis Junior Tour Championship Series 7 (CS7) – Kolkata was the second tournament in the scheduled four tournaments leading upto the Masters. 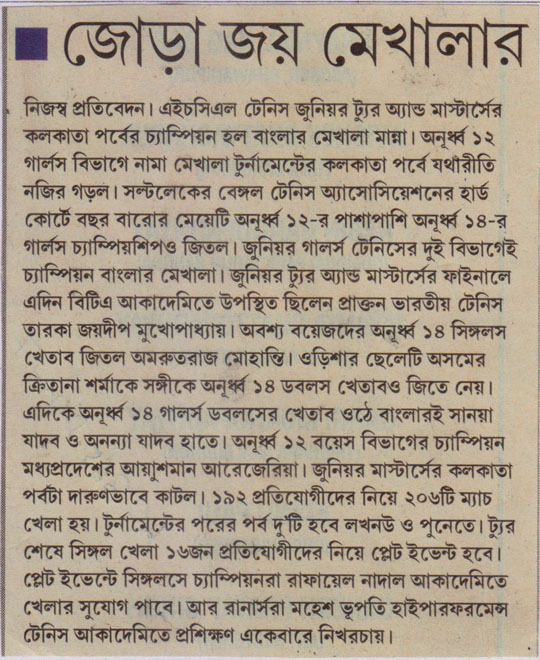 The CS7 Kolkata took place at the renowned Bengal Tennis Association which consists of 6 synthetic tennis courts. The viewing gallery overlooks the courts, making it a beautiful sight for all to watch. 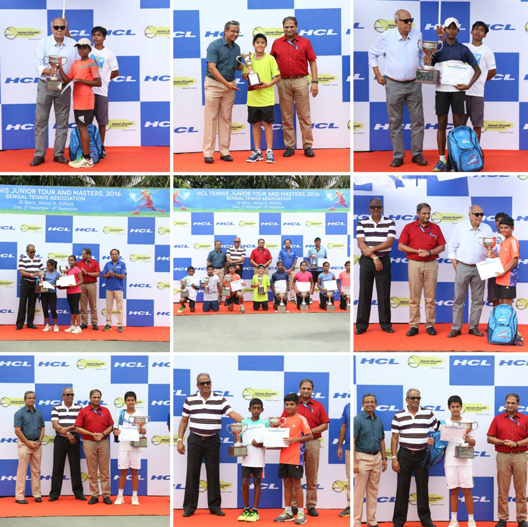 The HCL Tennis Junior Tour – Kolkata received 192 entries across all categories – Boys & Girls, U12 and U14. 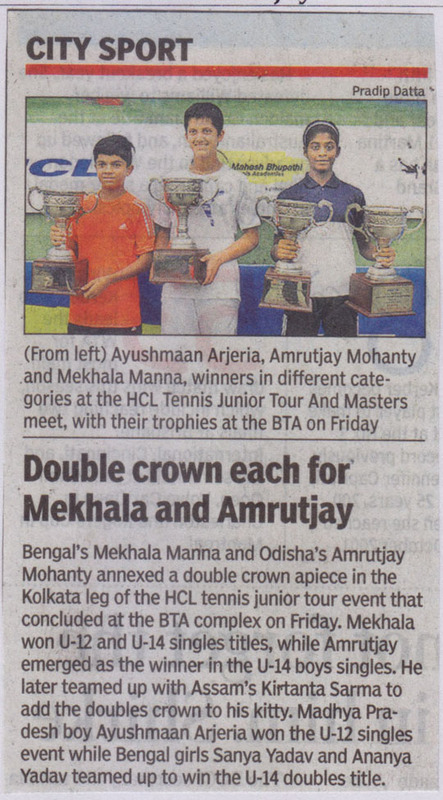 The tournament saw a few familiar faces with participants from Chennai also playing in Kolkata. 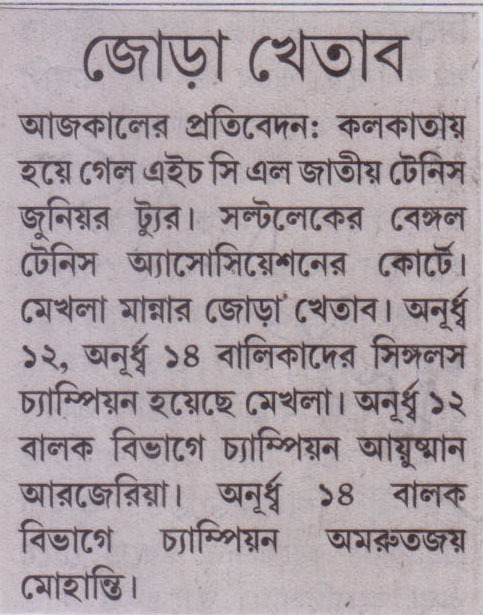 The qualifying rounds for the Kolkata leg of the tournament took place on September 3 and September 4, 2016. 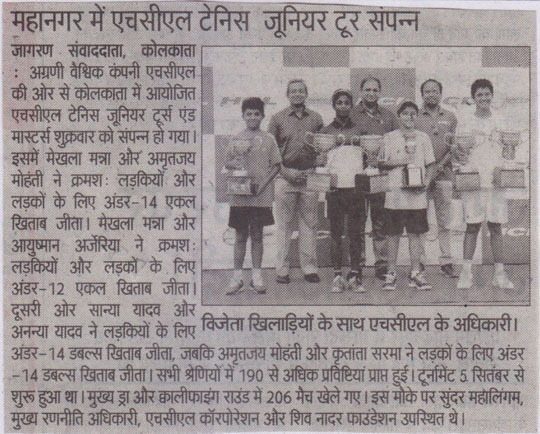 The top seed in the Boys U12 category was Ayushmaan Arjeria from Madhya Pradesh who is ranked 6th in India. 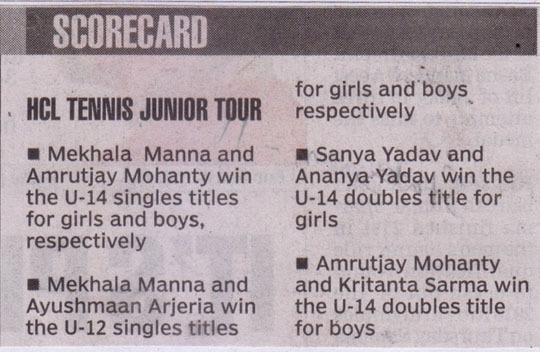 He was also the winner in the Boys U12 category at the HCL Tennis Junior Tour – Chennai. 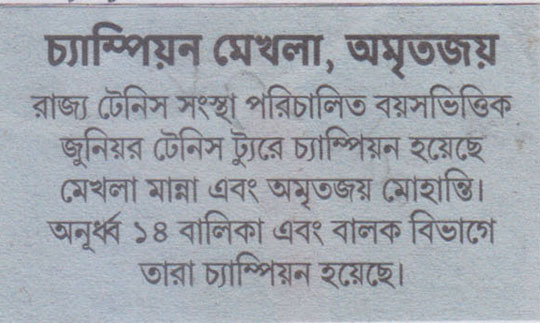 We were honoured by the presence of Mr. Jaidip Mukerjea for the prize distribution ceremony. 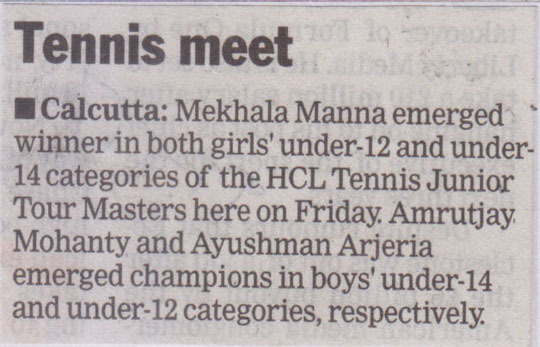 Mr. Mukerjea is one of the stalwarts of Indian Tennis. He has been the National Champion in 1966 and 1970. He won the Asian Championship in 1966, 1968 and 1970. He has had some great performances at all four Grand Slams - Wimbledon, French Open, Australian Open as well as the US Open. He has been the coach as well as the captain of the Indian Davis Cup Team. He has been the recipient of the prestigious Arjuna Award in 1966 and has been honoured by the International Tennis Federation with the Lifetime Achievement Award in 2003. 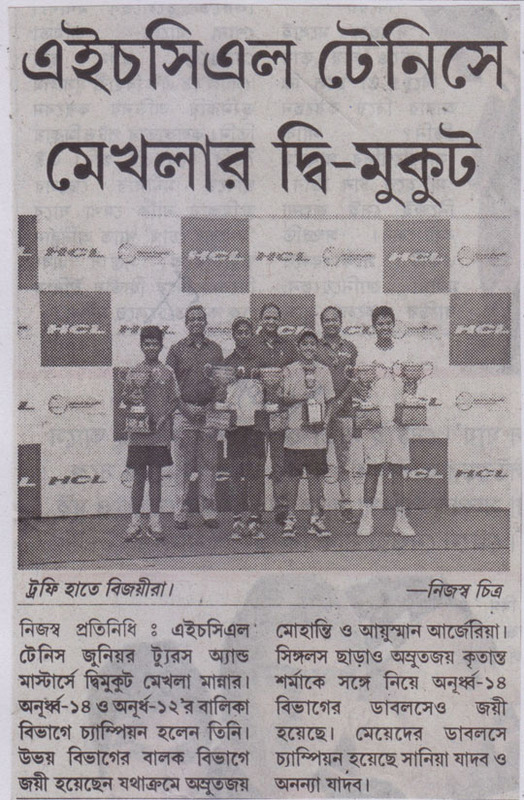 He was joined by Mr. Sujoy Ghosh, COO Bengal Tennis Association. Mr. Ghosh has been associated with the BTA for the past 13 years and has been instrumental in all the player development initiatives undertaken at BTA. 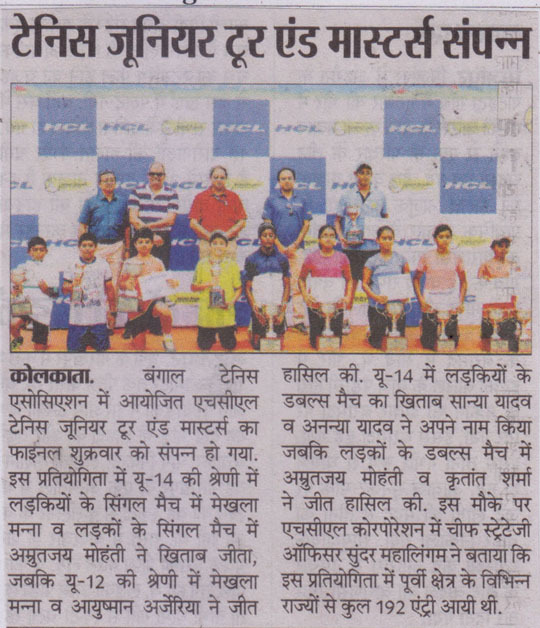 From HCL, we had Mr. Heemanshu Sinha who is the Regional Business Head for Consumer Distribution Business, East India. Mr. Shankar Krishnaswamy was the MBTA representative at the dais. He is the Director of Coaching Operations and Coaches Development Program from MBTA. 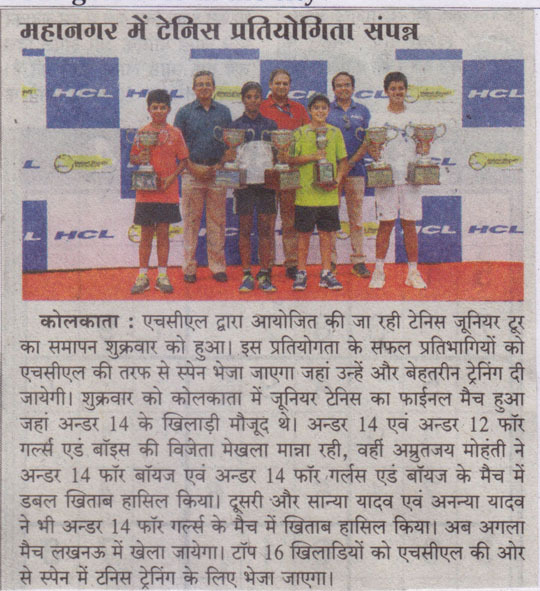 He has been among the top 10 Junior Players in India and has represented Indian Universities. In his playing days he has competed in various International tournaments. With the experience of coaching top ranked junior players for the past 15 years, his care and mentorship have contributed to the emergence of many top ranked State & National level players from across MBTA centers.